Taitung’s firecracker bombing of Lord Handan folk event, held in conjunction with temple fairs during the Lantern Festival, is the only remaining example of a tradition that nearly died out during the years of the Japanese period. Many Taitung residents can relate intense personal memories of this culturally significant tradition. During the event, men playing the role of Lord Handan willingly endure barrages of firecrackers in a blazing scene that is electrifying in its intensity. The firecracker bombing of Lord Handan event is a one-of-a-kind religious event and a significant cultural asset that highlights Taitung’s unique local folkways. The Firecracker Bombing of Lord Handan folk event has been held in Taitung for over fifty years. It is said that the festival commemorates Zhao Gongming (1562 – 1066 BCE), a Shang dynasty general. Upon his death, the general was made responsible for the management of heaven’s treasury, and became known as the Military God of Wealth (or Marshal Zhao in Taoist tradition). As Marshal Zhao disliked the cold, people would throw firecrackers at him during his inspection tours to keep him warm. In the early years, followers of Lord Handan took turns enshrining the deity in their homes. In 1989, Taitung’s Xuanwu Temple was established to create a permanent place for the worship of Lord Handan. The Firecracker Bombing event was begun in 1951. At one point, it was banned by the authorities for being too disruptive but worshippers later managed to get the event reinstated. 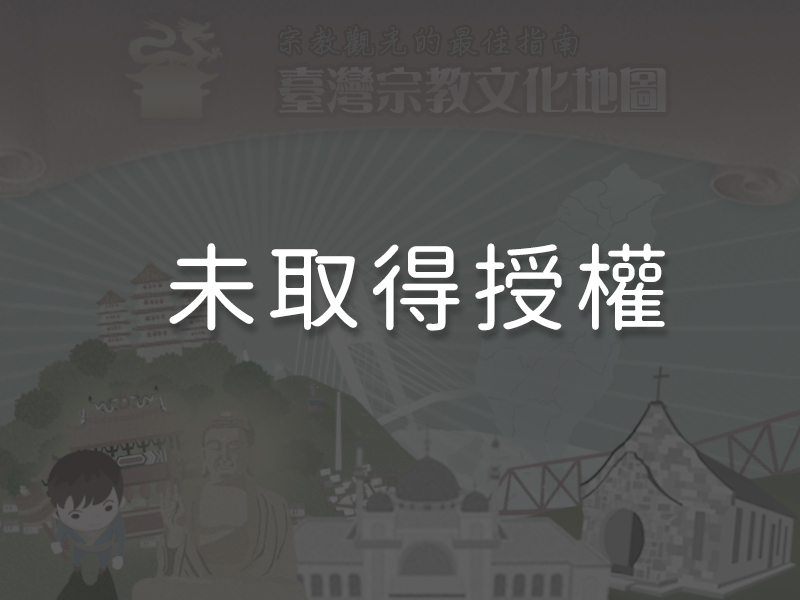 In 1998, organizers began collaborating with the Taitung County Government, and the event has since expanded to become one of the highlights of the local Lantern Festival celebration. As a result, the Firecracker Bombing of Lord HandanFestival has become one of Taitung County’s most iconic cultural events. The Taitung County Government designated it a cultural asset in 2007. 1. The firecracker bombardment seminar: The organizers give a presentation about the history and origins of Taitung’s Firecracker Bombing of Lord Handan event on the 12th and 13th days of the first lunar month. Small-scale firecracker bombing of Lord Handan activities are also held to give the public a first-hand experience of what the event is like. 2. The preparations: Xuanwu Temple begins arranging Lord Handan’s inspection tour during the 12th to 14th days of the first lunar month. It erects a temporary shrine at Haibin Park, extends invitations to other deities, prepares the palanquin, and invites the troupes. Divination blocks are cast (moon-shaped wooden divination blocks are thrown and the way they land interpreted to determine divine guidance) to decide the order in which the palanquins holding the various deities’ statues will be carried in the procession. Following the ceremony, an offering of the three sacrificial offering meats (chicken, pork, and fish), vegetarian foods, and fruit is made. 3. Bombing Lord Handan with firecrackers: The highlight of the Firecracker Bombing of Lord Handan event takes place on the 15th and 16th days of the first lunar month, when Lord Handan is bombarded with firecrackers during both public inspection tours and private bombardment events. Troupes taking part in Taitung’s Lantern Festival Blessing Procession accompany Lord Handan’s palanquin during the public inspection tours. Along the route, the men playing the role of Lord Handan are bombarded with firecrackers prepared by business owners and spectators. Business owners can also make arrangements with Xuanwu Temple in advance for Lord Handan to be bombarded with firecrackers in front of their stores or offices. 4. Activity for international exchange students: International exchange students studying in Taitung are invited to take on the role of Lord Handan on the afternoon of the 15th day of the first lunar month. This gives them the opportunity to experience this unique tradition first hand. Returning of the deities: The deities, seated in the temporary shrine at Haibin Park, are entreated to return to their temples after the festival concludes on the 17th day of the first lunar month. Incense is burned as part of the ceremony, “beehive” bottle rockets are launched and sky lanterns released. If the day for the returning of the deities does not fall on a weekend, it is moved up to the 16th day of the first lunar month. Every year, people volunteer to play the role of Lord Handan during the firecracker bombing event because those doing so are said to receive blessings from the deity. The number of impersonators varies each year in accordance with the endurance level of the participants. The majority of volunteers are young men, although at times veterans of the event will join them if the circumstances require it. The appearance of Lord Handan is governed by tradition. Volunteers wear a marshal’s seal around their neck and a yellow headscarf. They are bare-chested and wear red shorts. A wet towel covers their mouths and noses, and cotton balls are used as earplugs. In the early years, the faces of the volunteers were made up to resemble that of the deity to ordain them as his incarnation. This tradition was eventually abandoned as the towels cover up their faces. The volunteers also carry bunches of leafy sprigs from a banyan tree (Taoists believe the branches and leaves of the banyan tree can protect against demons) to shield themselves against the firecrackers and block burning ash cinders. 1. The firecracker necklace: The Lord Handan impersonator dons a “firecracker necklace” and then lights it. This method is only used for specific performances and is relatively rare. 2. The firecracker bamboo pole: Several strings of firecrackers are wound around a bamboo pole. The leader gives the command, and a dozen or so artillerymen ignite the firecrackers simultaneously, then toss the pole next to the Lord Handan volunteer. The event concludes when the firecrackers finish exploding. 3. The firecracker salvo: This is the most common bombing method. Firecrackers are bound together in rows of three to five to form a bunch, and a detonator attached with a rubber band. The artillerymen take the bunches and form a circle around the palanquin. They light the firecrackers and bombard Lord Handan as he is carried around the circle. When one volunteer can endure no more, another takes his place. At certain special sites, the volunteers all stand atop the palanquin to be bombarded with firecrackers together. The route and schedule of the Firecracker Bombing of Lord Handan event is adjusted annually, and is announced online. Those wishing to watch the event or take part in event-related activities or international exchange student activities are advised to wear long-sleeved shirts, long pants, hats, protective eyewear, face masks, and earplugs for their own safety.